Ian Sinclair has reported from every corner of the globe. After experiencing dictatorship while studying flamenco guitar in Spain, Sinclair returned home to New Zealand, and eventually began working for TVNZ in 1986. 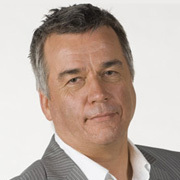 Since then he has covered four major wars and been a mainstay as an investigative journalist, winning New Zealand’s Qantas Media Award for Best Investigation in 2009.